There are few things as joyous as curling up with a good book while snow lightly falls outside the window. 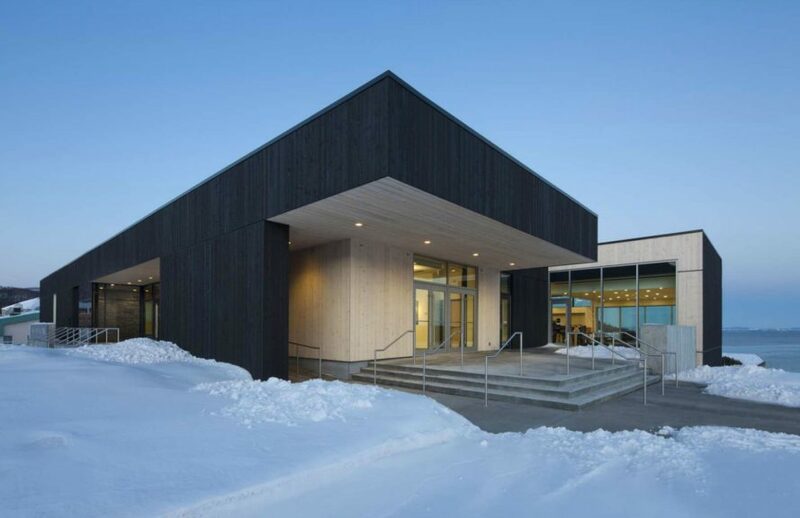 Local bibliophiles in Canada’s La Malbaie region can now get cozy and enjoy the city’s picturesque snowy landscape from the sophisticated Laure Conan Library and City Hall, built by Bisson Associés and ACDF Architecture using locally-sourced materials. Located on the banks of the St. Lawrence River, the La Malbaie region was one of Canada’s first resort towns. According to the architects, the contemporary design of the library pays homage to role the stunning landscape has played in the area’s history, “The project’s main narrative focuses on the value of the site’s historic landscape as it symbolizes the reconciliation between the present city, and the historical landscape closely linked to the St. Lawrence River.” To further pay respects to the local community, the architects chose to implement a strong eco-conscious focus from the start, concentrating on creating a compact and energy efficient design as well as using locally-sourced materials and resources. The library, which was built on the dramatic slope leading to the river, stands out visiually for its contrasting exterior of wood, stone and glass. Dark timber siding from Quebec was used to clad the exterior, including the cantilevered library space, which sits on top of a concrete volume housing the City Hall. The extended form provides a covered outdoor space underneath, which is used as event space as well as a rest area for cyclists and pedestrians exploring the river’s walking and biking trails. There are few things as joyous as curling up with a good book while snow lightly falls outside the window. 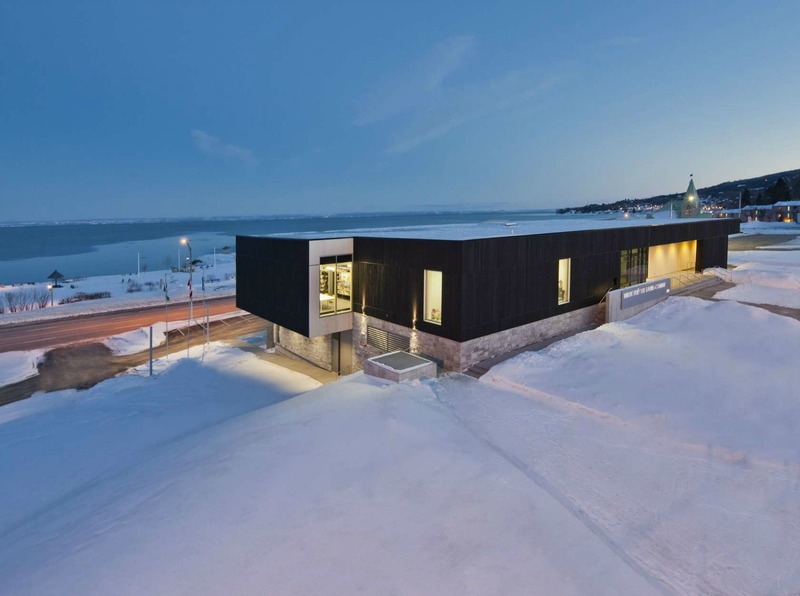 Local bibliophiles in Canada's La Malbaie region can enjoy the city's picturesque view of the snowy landscape from the sophisticated Laure Conan Library and City Hall built by Bisson Associés and ACDF Architecture with locally-sourced materials. Located on the banks of the St. Lawrence River, the La Malbaie region was one of Canada’s first resort towns. According to the architects, the contemporary design of the library pays homage to the area's long history. Along with reflecting the local history, the architects chose to implement a strong eco-conscious focus from the start. The building, which was built on the dramatic slope leading to the river, stands out for its contrasting exterior of wood, stone and glass. Dark timber siding from Quebec was used to clad the cantilevered library space, which sits on top of a concrete volume housing the City Hall. The extended form provides a covered outdoor space underneath, which is used as event space as well as a rest area for cyclists and pedestrians exploring the river's walking and biking trails. The interior of the Laure Conan Library houses a resource center as well as various reading areas. The building also houses the City Hall. There are few things as joyous as curling up with a good book while snow lightly falls outside the window. Local bibliophiles in Canada's La Malbaie region can now get cozy and enjoy the city's picturesque snowy landscape from the sophisticated Laure Conan Library and City Hall, built by Bisson Associés and ACDF Architecture using locally-sourced materials. 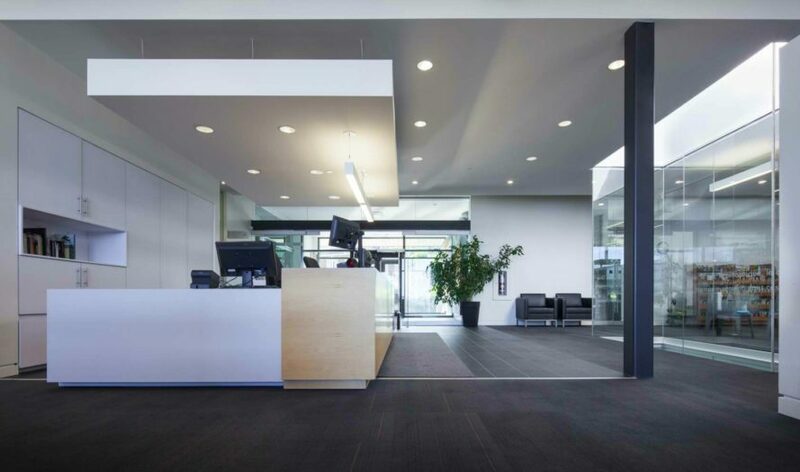 The design includes plenty of event and conference spaces.